S&R rolls out yet another dessert pizza. 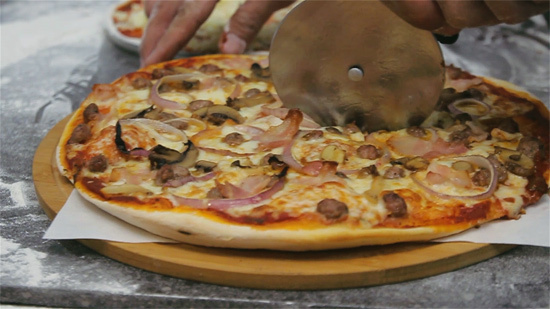 (SPOT.ph) Aside from their signature Cheese, and Pepperoni pizza, membership grocery and now pizza chain S&R has been rolling out new limited edition flavors every other month, and they're always out-of-the-box. 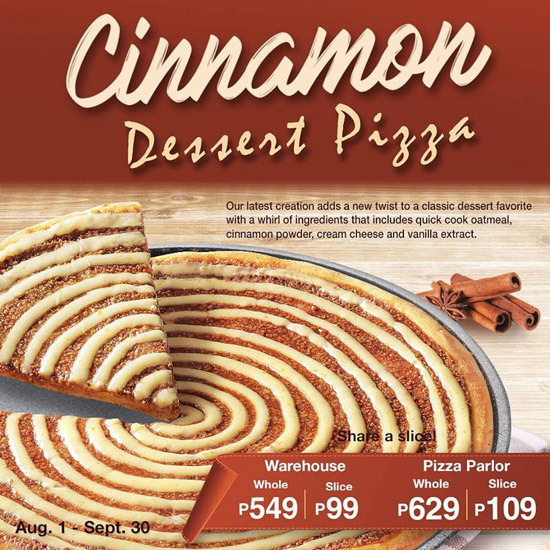 This time around, they’re back to satisfying your sweet tooth with a new dessert pizza: the Cinnamon Dessert Pizza (S&R Warehouse: P549/whole, P99/slice; S&R Pizza Parlor: P109/slice, P629/whole). 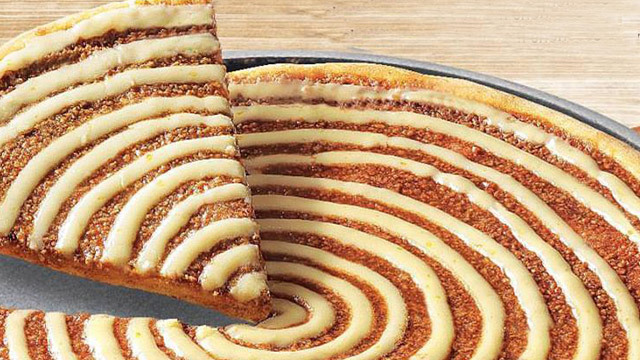 S&R’s latest pizza creation has cinnamon, quick-cook oatmeal, vanilla, and generous swirls of cream cheese on top of their signature thin crust. 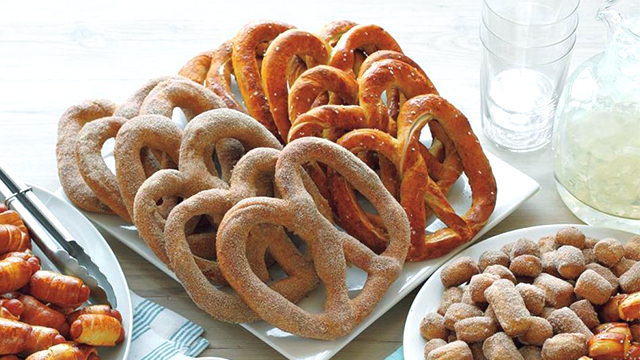 With the oatmeal and the sweet spice of cinnamon, we’re guessing the effect will be similar to Cinnamon Toast Crunch! The best part? S&R now also delivers their pizza, so you can have it anywhere, anytime. You only have until September 30 to try out this new flavor!